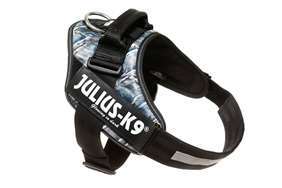 Dalmatian - Julius-K9 harness size 0 - Las Vegas K9 Inc. 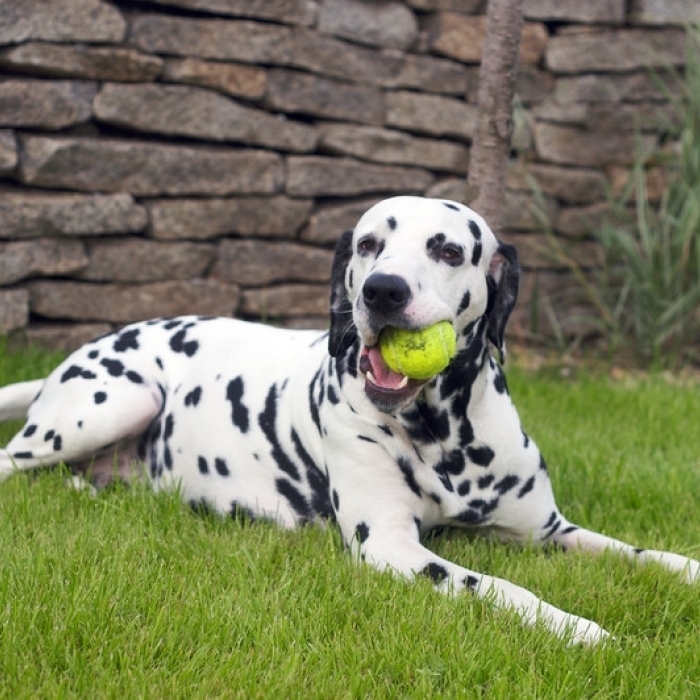 The Dalmatian is a square-proportioned, athletic dog of good substance and sturdy bone. 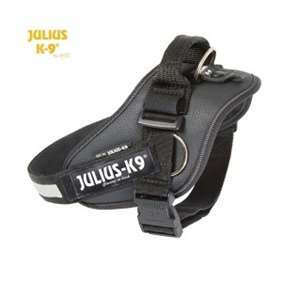 It is built for efficiency at the trot and great endurance, and its movement should be steady and effortless. The expression is alert and intelligent; the coat short and sleek. The distinctive spots are an essential point of type; solid patches (distinguished from masses of spots by the patch's sharply defined, smooth edges) are a disqualification. Bred to run for miles, the Dalmatian retains this tireless enthusiasm. 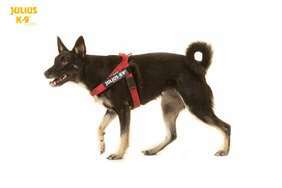 It is a playful, eager companion that must get daily hard exercise in a safe area if it is expected to behave at home. It loves to run and may roam. It may be aggressive toward strange dogs, but it is generally good with other pets and is especially good with horses. It may be too energetic for young children. It tends to be reserved toward strangers. It can be stubborn. Note: Deaf Dalmatians present special training and behavioral problems. They are easily startled and may snap. They are not advised for families with children.